Sikkim is situated at the foot of Mount Kanchendzonga and boasts of an unexplored beauty. Sikkim, the landlocked state of India, is the antidote that can soothe your strenuous nerves with its fresh air, forested mountain valleys and long stretches of snow-clad mountain peaks. 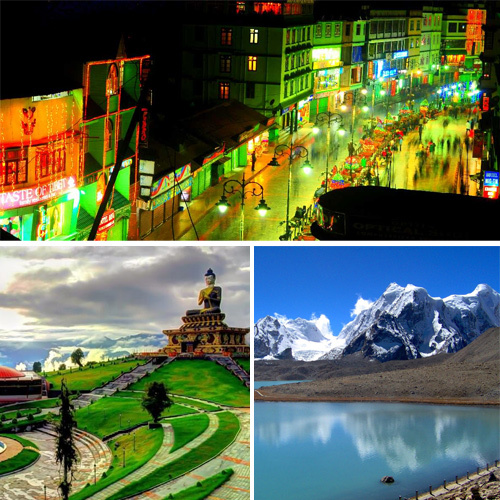 Here are some famous tourist places in sikkim, must visit. Gangtok, the capital of Sikkim, is constructed on a cloudy ridge 5,500 feet above sea level.Â When the clouds clear, it's possible to see all the way to Khangchendzonga's soaring peaks.